The attorneys in Calfee’s Probate Litigation group represent fiduciaries, financial institutions, beneficiaries, creditors and other interested parties in estate, trust and guardianship controversies. Complex estate and trust planning has present and future consequences for various constituencies that may generate disputes. Having successfully represented clients in probate courts throughout Ohio, Florida and other jurisdictions, we have the experience to help resolve disputes and facilitate a satisfying outcome. Calfee’s probate litigators also assist clients in estate and trust-related disputes before trial courts, government administrative agencies, and state and federal tax authorities. In conjunction with our probate litigation work, our attorneys provide comprehensive guidance on estate and trust administration as well as asset protection. Calfee representation begins with an analysis of the context of the dispute as it relates to the various parties and entities involved. Our goal is to achieve a resolution to the advantage of our clients in an efficient manner. 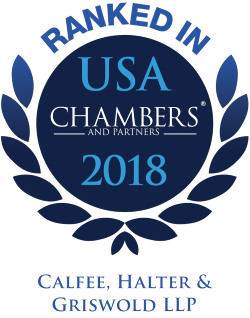 Calfee’s Litigation group was selected for inclusion in the 2019 "Best Law Firms" rankings by U.S.News – Best Lawyers in America in Trusts and Estates Law and several Litigation practice areas. Represented executors for estates ranging in size up to $1 billion in defense of claims brought by beneficiaries and creditors and in connection with various tax controversies. Represented closely held business entities with claims brought against estates and trusts. Represented institutional trustees in defense of claims alleging breach of fiduciary duties and regarding compliance with charitable trust laws. Represented parties to will contest actions.